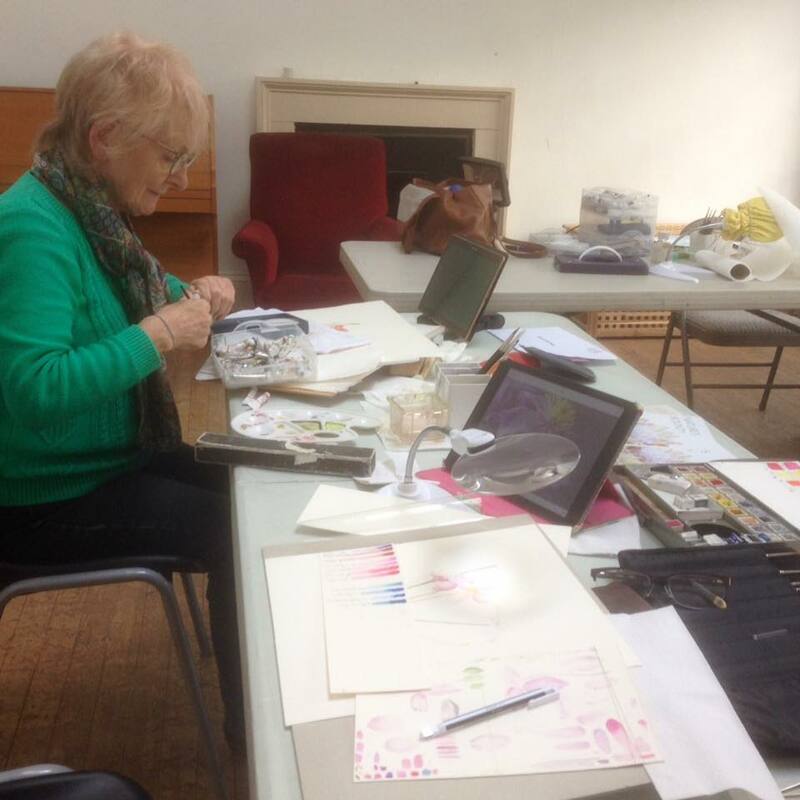 Our regular Wednesday drop-in days, hosted at the Scottish Arts Club (24 Rutland Square, Edinburgh, EH1 2BW) were a great success last year, so we’ll keep up the good tradition in 2017! They are a great opportunity to meet fellow artists of all levels, swap tips while you work, and enjoy a good cuppa. There is a £10 charge each day, payable on the day, and if you would like to book lunch please let either Hazel Morris (for February and March bookings) or Aileen Jorgensen (all later bookings) know well in advance by email. 11am – 5pm Tuesday to Friday. Closed Saturday, Sunday, Monday. The Scottish Arts Club will take 30% of sales income, so please take this into consideration in your pricing. Unfortunately there are no facilities for card or print sales. Previously exhibited paintings may be entered. Hanging fees will be £10.00 for large paintings and £5.00 for small. Painting drop off 4 April 10.45 – 12.00. 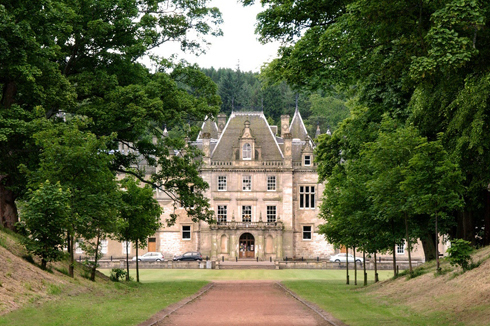 Smith Art Gallery and Museum, Dumbarton Road, Stirling, FK8 2RQ. Juried exhibition, further details to follow. We are hoping to participate in the International World Day of Botanical Art in the summer of 2018. Our autumn exhibition will be in the Lillie Gallery, Station Road Milngavie G62 8 BZ – details to be announced later. We received the invitation below to submit work for an upcoming exhibition, and would like to share it with our members. Submissions by post only to: Botanical Beauty, Orleans House Gallery, Riverside, Twickenham, TW1 3DJ. 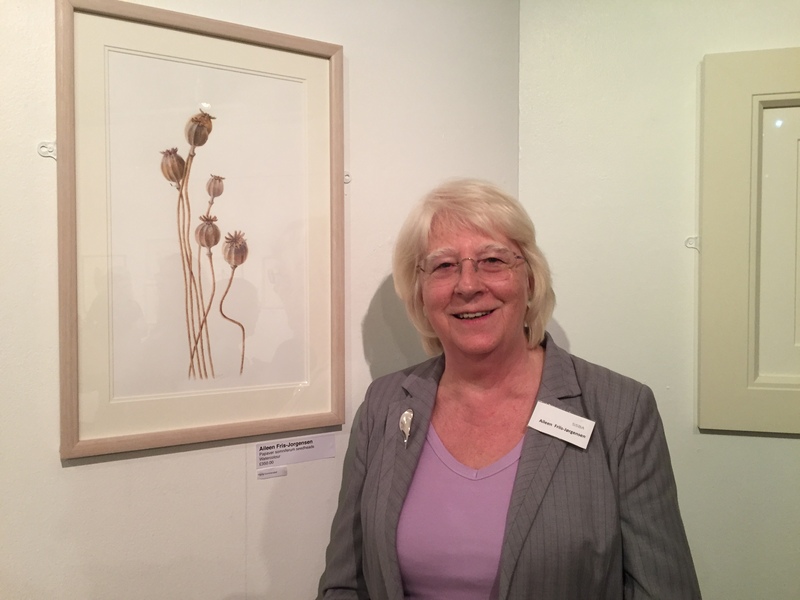 Through its annual open exhibition opportunities, Orleans House Gallery in Twickenham helps artists locally and nationally to showcase their work in group exhibitions at Orleans House Gallery and Stables Gallery in Twickenham and the Riverside Gallery in Richmond. 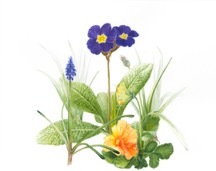 Botanical illustration is the art of depicting the form, colour and details of a plant species. Although scientifically accurate, studies are often artistic and aesthetically pleasing. This tradition of marrying art with science goes back to the 6th century when the first botanical illustrations were created. The heyday of botanical art was from the 17th to the 19th century. In recent years, there has been a renaissance in this genre. 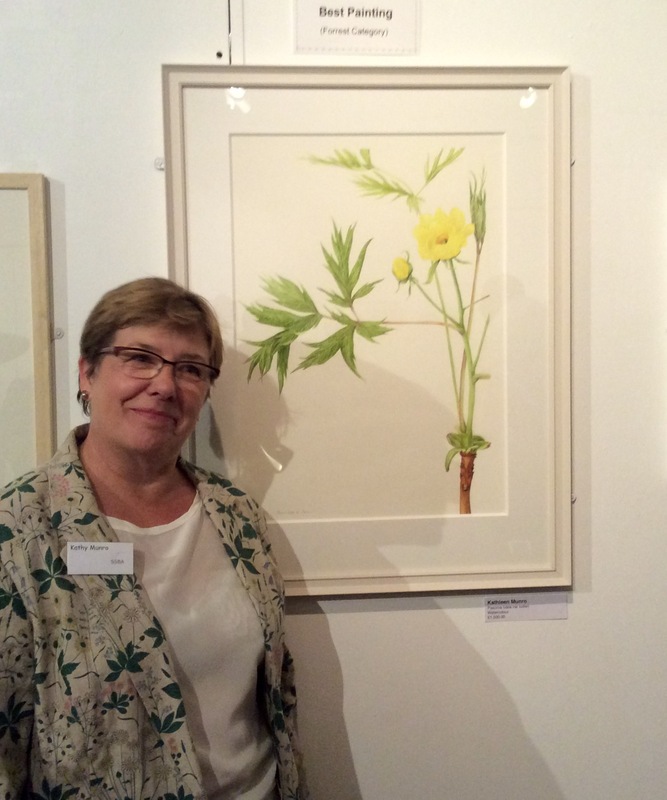 This open exhibition showcases contemporary British botanical illustrations in a variety of styles. Artists can submit up to 5 works. Artworks must be submitted as A4 good quality print outs. In addition, please save the images onto a CD or memory stick as jpeg files. Original artwork or emailed submissions will not be accepted. Please clearly label each submission with: artist’s name, title of work, date, media, approximate size and sale price (to include the gallery’s 40% commission + 20% VAT on the 40% commission). Please enclose contact details including email and postal address and contact telephone numbers, an artist’s statement and CV. Please complete and return the accompanying submission form. There is a £10.00 administration charge (which contributes towards exhibition costs); £7.50 concessions (students, retired, unwaged, benefits). Please include proof. Please make cheques payable to ‘L.B.R.U.T’. You can also pay by card by calling the gallery on 020 8831 6000. Your submission will not be accepted without payment. If you would like submissions returned, please enclose a stamped self-addressed envelope. Successful artists will be contacted by phone or email about a week after the deadline. We had a very successful event on Saturday 15th October, when members were able to take time to meet up and discuss the exhibition while enjoying afternoon tea. There was also an opportunity to talk about upcoming exhibitions and to give suggestions for the direction and future of the Society. Members who were unable to come along were invited to pass along their suggestions via email. 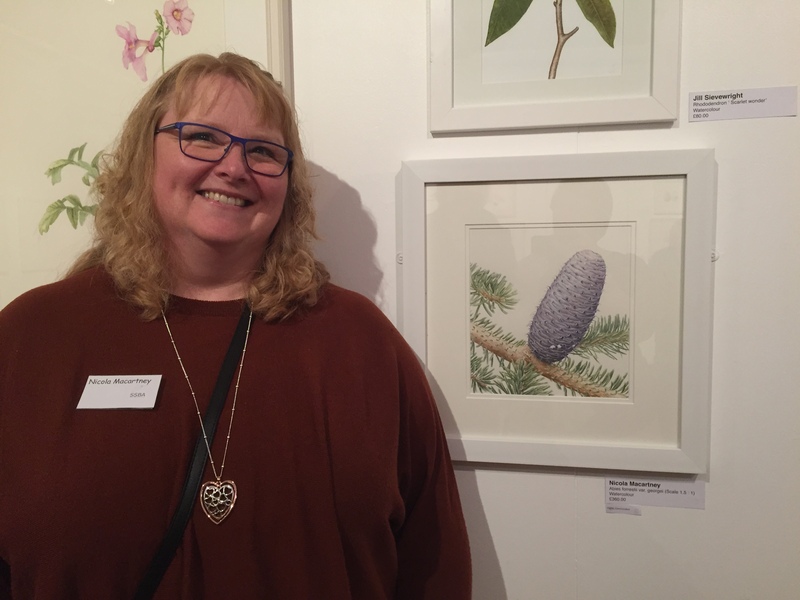 Congratulations to Sharon Fox for winning the ‘People’s Choice Award’, sponsored by Barrie Scott and Co.
Also, our congratulations to Kathy, whose painting was voted the best in the George Forrest category by the jury. 24 Rutland Square, Edinburgh, EH1 2BW, from 10.30 to 15.30. 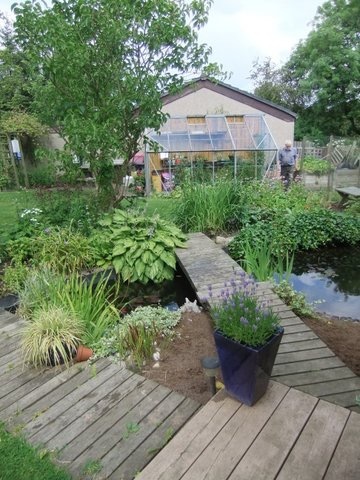 Sunday 19th June at Easter Cottage, EH52 6PU. Tea and coffee supplied, bring your own picnic. 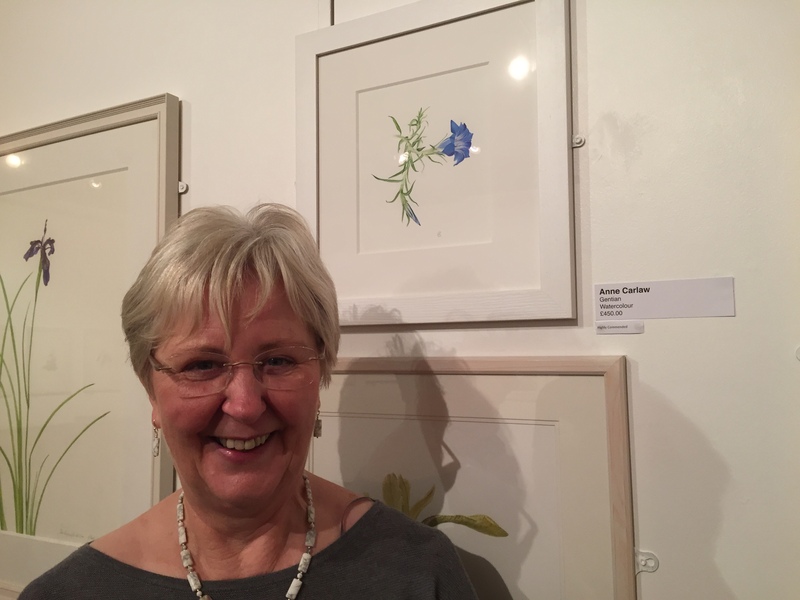 The SSBA is delighted to announce its first exhibition of 2016 – “A Botanical Spring Fling”. 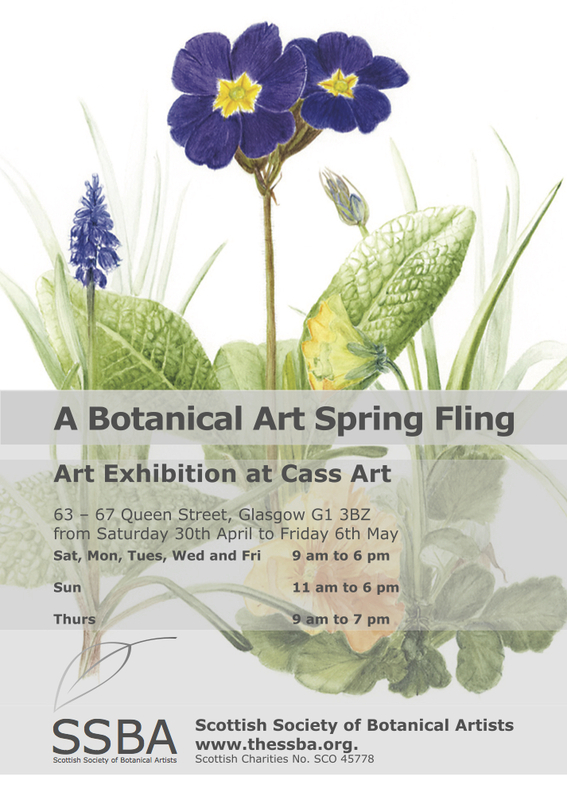 It is to be held in the exhibition space in Cass Art at 63-67 Queen Street Glasgow G1 3BZ, from Saturday April 30th until Friday May 6th inclusive. It will be open Saturday, Monday-Wednesday, and Friday from 9am to 6pm. Sunday times are 11am t0 6pm. Thursday opening times are 9am to 7pm. Members will be contacted soon with further details, but please make a note of the dates in the meantime. The AGM will be held on Saturday 19th March 2016 at 1.30 pm and will take place at the Scottish Arts Club, 24 Rutland Square, Edinburgh EH1 2BW. The agenda, summary of accounts, proxy form and voting papers will be posted to members at the end of February 2016.